"Talk Whole Year, Pay at the Harvest" Project Vodafone + Sekerbank"
By preparing a program heavily based on the news related with agricultural sector, we provide the required information for the day to our farmers, with a live broadcast on Kanal 7 everyday during the weekdays between 05:45 - 06:46, which is a totally new Prime Time for the farmers, in order to be beneficial for our farmers. In addition to news, we hold the pulse of the agricultural life with live broadcast from market places, stock markets and livestock markets, hosting guests in studio or by making phone connection. Our farmers could participate in the live broadcast by phone. We founded an agricultural channel just like the existing finance channels. With the program format which is tried by us for the first time in the sector, the rise in the number of subscribers of our business partner Vodafone, which supported the program with service presentations, became an adequate sign of success for the program. The program won 4 of the Turkey2s most prestigious Advertisement Awards FELIS AWARDS including the Best Television Media Utilization award. 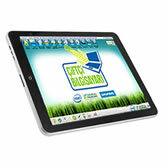 Windows 8 and Android Tablet application, which was prepared by us in order to develop the tablet utilization habits of farmers, was developed for breaking the barriers of farmers against connection to the internet. Thanks to the desktop software, which opens automatically on computers, our farmers can have access to the information they require without any difficulties and without any concerns. Windows 8 version of the application can be found by the users in Windows Market. Android tablet software is marketed with the brand Ciftci Tableti (Farmer Tablet) after the importer and sellers of the tablet load it directly on the device. Starting from the accidents caused by tractor trailers parked on the roadside or moving in the traffic without a warning sign, we built a project both for providing benefit against a social wound and for making an advertisement of the brand. Moving together with regional directors, we mounted reflectors behind tractor trailers which will show LASSA brand both in the daylight and in the night reflectively. 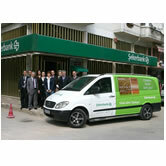 In this way, the Lassa brand achieved visibility it aimed as a brand which is continuously seen on the roads. At the same time, in return for this advertisement, a step is taken towards the solution of a social problem. Farmers without a reflector, got a reflector without any effort and making any payments. With these advertisements, people on main roads also recognized Lassa brand, and this resulted with the success of the advertisement being bigger than it was planned. 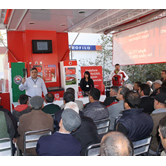 As part of Vodafone Roadshow with Farming Club and Vodafone Training Trailor that provides interaction with more than 100.000 farmer each year, Vodafone & Bayer CropSience actualized Modern Plant Protection Program In March 2013. 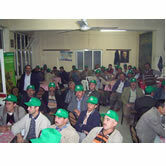 Within the program, in 27 differrent regions 1500 farmers were briefing about their local plantation. With the actualisation of the Modern Plant Protection Program, in which 45.000 farmers were reached and the productivity was increased 7%, 33,5 million TL income increase planned in the near future. The software, which was prepared as an Android application, aims for farmers, who use smart phones, to benefit more from their phones in addition to increase the number of farmers using cell phones. It is prepared as an application that consists meteorological data and it is put into service for farmers. marketplace and stock market prices of products, and in addition to that the chance to give advertisements easily for farmers buying and selling products by using their phones. With this application, which can be downloaded from Android market independent of operator, matches the farmer's need for momentary information. 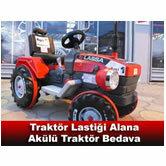 With the Radial Tractor Tire campaign, which was held in the year of 2012, in order to increase the speed of tractor tire sales, a campaign is organized, in which a battery powered tractor toy is given to the farmers who buy two back wheels in the framework of the slogan "Tractor Tire to the Grandfather, Battery Powered Tractor to the Grandchild". Sales are completed before the target time over the communication language of Grandfather - Grandchild relation in villages. The project, which was found successful by the sector in terms of tractor tire sales, were imitated by the competitors with similar slogans. Broadcast frequency of the carried out campaign through thematic channels and announcement via SMS to the farmers chosen from our database studies ended in success after 2 months of campaign. Our company identified the barriers of the farmers against computer utilization and internet connection. We prepared a desktop software with the support of Intel for increasing computer utilization and we made fabrication installations on these machines by making cooperation with computer brands. Thanks to the desktop software, which runs automatically on computers, farmers can get the information they need without any difficulties and they can have access to the internet without any concerns. Windows 7 version of the application is distributed from the internet free of charge, Windows 8 version is presented to users over windows market. This project, which was broght to life together with Sekerbank for farmers' own subscriber lines and Vodafone members in their families with a payment plan suitable with payment habits of farmers, created opportunities of cross-sales for both corporations. Vodafone subscribers met with Sekerbank credits, and farmers that use credits of Sekerbank prefer to be a subscriber of Vodafone. This project, in which Sekerbank made a private plan of financial cost burden and came with an application undertaken by Vodafone, gave successful results for both of our business partners. Our farmers write their messages for FREE to the ADVERTISEMENT service, which was fictionalized as a service for Vodafone subscriber farmers in order to sale their products. 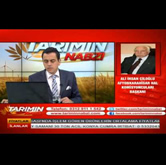 These advertisements are observed with an editor squad and after the necessary adjustments, they are published in Turkey's first agricultural E-commerce site, Thematic Televisions, "Tarimin Nabzi (Pulse of Agriculture)" program of Kanal 7, magazines and newspapers related with agriculture. Demandants from these channels are directly guided to farmers. Every month, farmers put more than 4.000 advertisements with this method, and they can find alternative customers for the products they want to sell. 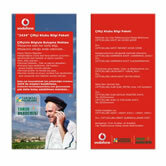 In order to provide price advantages on purchased services and requirements and the products used in the production of farmers who use Vodafone Ciftçc Tarifesi (Farmer Line), agreements with 4000 companies from several cities have been made and a system is developed with SMS infrastructure in order to provide a discount for farmers who make purchases from these companies. This project, which was aimed for customer loyalty and new line subscriptions, was concluded after the wanted business targets have been achieved. 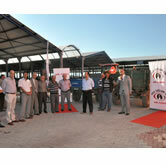 Vodafone Education Lorry, which communicates Vodafone Ciftci Kulubu (Vodafone Farmer Club) with more than 100.000 farmers in rural areas every year, determines the regional education requirements analysis with farmer organizations, and then it carries out suitable solutions for these requirements with educators of TARIM AKADEMISI (Agriculture Academy) on the region. Our Vodafone Education Lorry, which is equipped with sound and presentation devices, has an education saloon of 70 people capacity within a single time. During the activities, in which Vodafone 2434 package and other informative and marketing services are explained to farmers in addition to education programs prepared against the agricultural problems determined in the region, Vodafone services and products are also presented, and subscriber transactions are carried out. As the carried out studies have a positive reflection on the business purposes of our business partner, these studies have been carried out without interruption since the year of 2010. 2434 Vodafone News and Information service, which is free of charge and only accepts registries by Vodafone subscriber farmers, carries out information and services approximately one million subscribers by managing an information system that can send production, agricultural and meteorological information needed by the farmer during the production process and warnings of diseases and pests after privatizing it according to the product and the location of the farmer. World's largest farmer news network touches the life of our farmers directly, and this way it improves the efficiency and profitability of agricultural production and also it directly has positive effects on the life quality of our farmers. 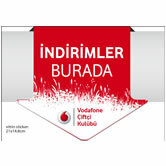 This service directly touched to the life of target audience of Vodafone Turkey with its realized social business model, by using mobile technologic developments and it continues to achieve concrete success. "Water Awareness in Rural Areas" project, which was carried out with a sensitivity of Social Responsibility as one of the integrated projects of Vodafone Ciftci Kulubü (Farmer Club) among the advances made by Vodafone Turkiye at that period, was planned and carried out by Agricultural Marketing squad as a unique project, which prepared a meeting foundation in order to develop the communication language of Vodafone marketing squads with farmers, by teaching the right methods for water utilization and modern irrigation techniques. With the business results achieved in this project, a sustainable work and many success stories, which was developed by Social Business Model of Vodafone and became an example for the World, were created. While "Water Awareness in Rural Areas" project were being carried in villages, with the participation from management of Chamber of Agriculture, provincial and district directorates of agriculture, district governors, mayors and village headmen, whom we all believe that will have an important role during an important part of the project "support for the farmers with awareness" and after meetings that attracted the attention of media, regional briefings have been carried out; those triggered the increase on investments of modern irrigation, and developments of agricultural water usage with awareness. 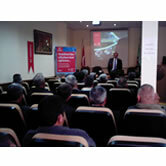 As a continuity of these studies, Vodafone Ciftci Kulubu Egitim Tiri (Farmer Club Education Lorry) was developed and after the inspection of requirements for regional education, those education sessions kept being carried out together with regional managements. 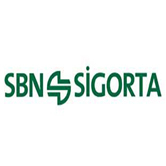 SBN Sigorta (Insurance), which was planning a search for vertical market by creating awareness for insurance in rural areas, revised Ciftci Kaza (Farmer Accident) and other insurance products for these works and released them to the market. After a while, with the transfer of company shares, the company marketing plans have been revised and the project is concluded. During the Agricultural Sector meetings of World's biggest E-commerce site aimed at agriculture segment, Company Directors and leaders of Agricultural Sector came together. With these meetings, hints about exportation opportunities for producer individuals and corporations of Turkish Agriculture Sector, have been shared with sector representatives. In agricultural production zones, according to the regional education requirement analysis of the invited farmers chosen according to production amount, all-inclusive information sharing meetings were held modern including agricultural production techniques and 360 degrees perception about marketing. After these briefing meetings, an important improvement has been observed in terms of farmers being a customer of the branches, in which the regional education sessions has been held. 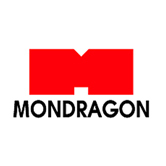 Spanish Mondragon Irrigation Company, which was one of the World's biggest Modern Irrigation products manufacturer corporations and active in 22 Latin countries in addition to the central office in Spain, planned product sales for Turkish market and to the countries around its geography with a settlement in Turkey. However, from 2001 to 2005, because of not being able to explain product prices and quality standards to manufacturers correctly, Mondragon Turkey was unable to bring the right product with the right customer, so, the company got a market research and suggestion report on Turkey Irrigation Market prepared by our company. According to this report, our company was authorized about the marketing of the product and forming of the dealers structure, and as a result, the target have been exceeded by %150 in the first year and %200 in the second year, and the success wanted in Turkey market has been achieved. 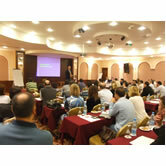 After the crisis occurred in European Union in the year of 2009, Mondragon Spain decided to close offices in many countries including Turkey office and concluded the activities in Turkey. Information about sociology of rural area, payment habits, product financing loop has been given to Sekerbank squad, who set on the road in order to produce a requirements-oriented card for farmers on the year of 2006 and the Hasat Kart product has been designed. Hasat Kart, which was presented to agricultural sector by Sekerbank, became the innovational product for that era as a card favored by the farmers with its unique features. 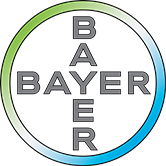 The product, which became an example later for many banks that got into the sector and revised in time as required by the marketing conditions and the competition, has an important place among the devices used in the production financing of farmers. In order to deliver the credits given by Sekerbank in the Agricultural Sector to a wider audience, in the framework of the innovated vision of the bank, in-house education titled as "Innovational Approach on Agricultural Production" has been given to branch managers and personnel. Education sessions, which were organized in order to change the traditional banking approach of the bank on agriculture, has achieved success about targets of credit sales and access to new customers. After the first one is carried out for Sekerbank in the year of 2006, the village visits became a tradition and carried out every year as a result of the success of the bank towards its business targets. The project is carried out as a meeting of bankers and farmers in village coffee houses on certain periods of the year, face-to-face communication of bank branch personnel and farmers is targeted and the success targets of this project has exactly been achieved, even the business results exceeded over the targets. 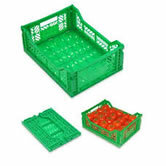 Demir Sabanci, which produced foldable cases with an innovative approach during cleaning and carrying of fruit and vegetable carriage cases, made the investment before they met with our company OdessaPolymer, stopped production after making the decision that the investment's time was wrong due to the errors in marketing strategies. As the result of the meetings we had with the mid-level managers of the company, we made a communication plan about the introduction of the product to the sector, and the acceleration, which was caught in that period, continues today and the working of the factory with full capacity has been realized.